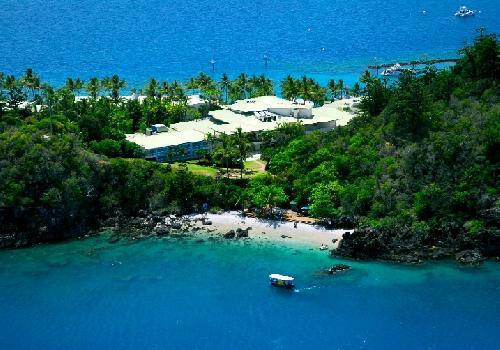 Nestled is the tropical surrounds of the Molle Islands national park is the holiday accommodation provided by the Long Island Resort. This well equipped and popular Whitsunday hotel provides affordable accommodation that is ideal for couples and small families who are looking for an all-inclusive holiday in the sun. The budget conscious traveller is also looked after at the Barefoot Lodge, which has a range of private hotel rooms that are ideal for backpackers who are looking for an island getaway with a little privacy. The Long Island Resort is well positioned in the beautiful Whitsundays and features a lovely stretch of beach surrounded by calm, blue waters. When you stay at the Long Island Resort you can make the most of the numerous water based activities and night time entertainment that this resorts offers all guests. The Qualia Resort is the epitome of luxury and provides the discerning holiday traveller with an ideal place for a relaxing and tranquil escape from their busy life. 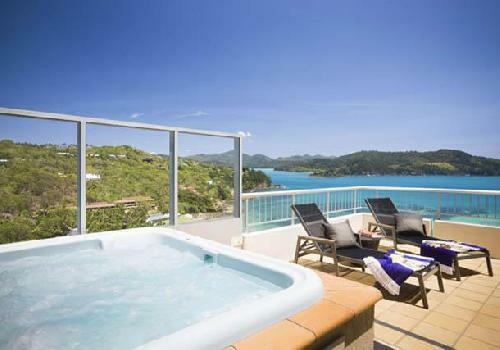 This 5 star property is perfectly positioned at the secluded tip of Hamilton Island and offers a range of luxuriously appointed accommodation suites that have beautiful views across the clear, blue waters of the Coral Sea to the Whitsunday Islands. There is a wide variety of adventurous activities as well as relaxing pursuits that you can indulge yourself in when staying at the Qualia Report on Hamilton Island, including pampering yourself with exotic day spa treatemnts and taking romantic picinics on selcuded beahes. For a memorable holiday that you will remember for many years to come look no further than the island resort accommodation provided by the Qualia Hamilton Island. 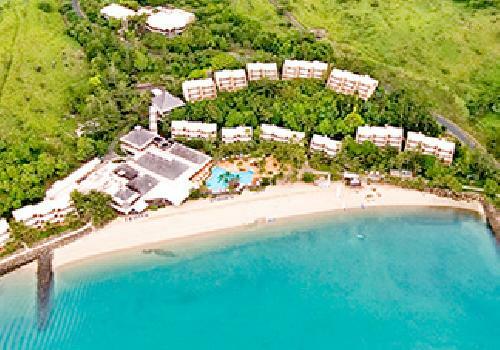 As the name suggests the Hamilton Island Beach Club is all about having fun on the beach and the wide array of water and beach related activities that you can enjoy whilst staying at this property will ensure that you are never bored. 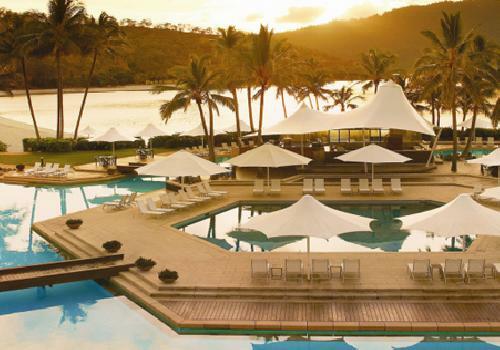 The Hamilton Island Beach Club is ideally situated on the beachfront, which not only provides guests with stylish accommodation that overlooks the Coral Sea and surroundings islands but also means that you can step out of your room and onto Hamilton Island's beautiful Catseye Beach. Imagine spend a day relaxing in the sun on your own private balcony or in a roof top spa and looking out over the blue waters of the Whitsunday Passage. If this sort of peacefulness is something that appeals to you then the Hamilton Island Reef View Hotel is a great place for your next holiday to Queensland. The property has a variety of affordable accommodation rooms available that have been delightfully furnished so that it not only matches perfectly with the tranquil surroundings but also that you have everything you need at your fingertips. For some time large families and groups where not well catered for on Hamiton Island, but the newly built Pinnacle Apartments has put an end to that. The fully self contained and well appointed 2 and 3 bedroom apartments have everything that you will need to feel right at home and are located high up overlooking the surrounding area. Getting around from the Pinnacle Apartments is easy because you can either walk from the central island location or use the complimentary golf buggy that comes with this apartment accommodation. Being positioned on the north side of the island just a short walk from the popular Catseye Beach, the Hamilton Island resort centre and the many activities that the island has to offer is one of the reasons that the Whitsunday Apartments is such a popular place to stay for couples and small families. 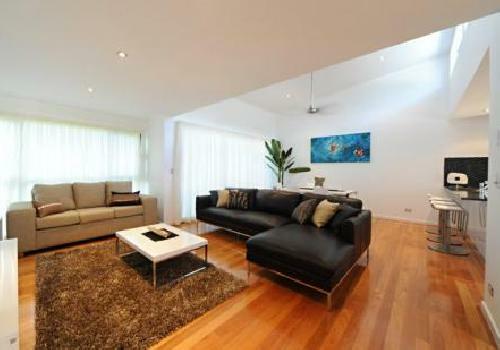 The other reason is that the well appointed apartments have been stylishly furnished and have all of the features and amenities that you will need in order to be truly relaxed when holidaying in the tropical paradise that is Hamilton Island. 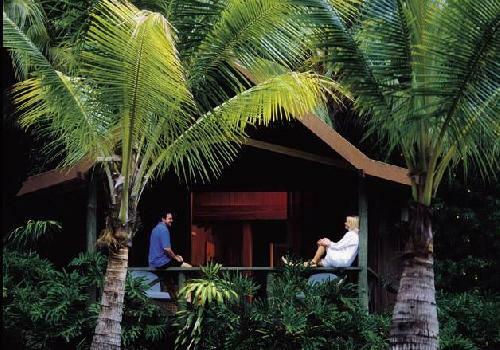 Affordable accommodation on Hamilton Island is very hard to find but the Palm Bungalows on Hamilton Island is one such place that delivers on comfort and affordability. The bugalow style rooms at this centrally located property have a unique tropical feel to them and provide holiday makers with a relaxing place to stay in the heart of the Whitsundays. Everything that the island has to offer travellers including recreational facilities, the beach, restaurants and tour departure points are within easy reach of the Hamilton Island Palm Bungalows. Located just a short boat trip from the mainland Daydream Island is an extremely popular place for overseas and interstate travellers to experience a true island holiday. The resort of Daydream Island has an extensive array of facilities and exciting activities that guests can partake in, ensuring that there is never a dull moment and that the kids are well looked after. If, however, you are looking for relaxation then the Daydream Island Resort has that covered to with great beaches, swimming pools and a day spa where you can really pamper yourself. 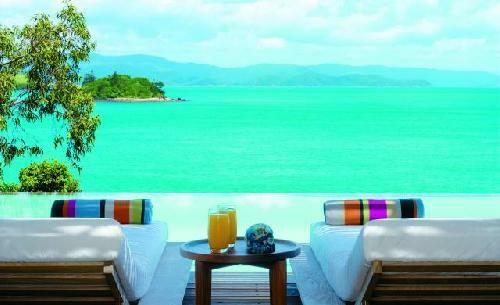 Luxury island accommodation does not get any better than that provides by the Hayman Island Resort. This 5 star property prides itself on being able to spoil you and giving you the relaxing tropical island experience that you have always dreamed about. 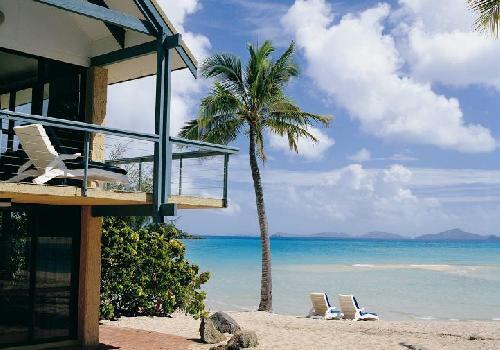 The Hayman Island Resort not only has a variety of different hotel rooms that have been specifically furnished to cater to your every need but also has an array of resort facilities and activities that will pamper you. 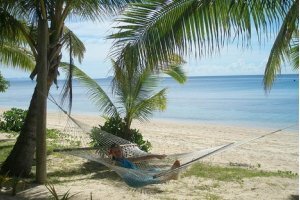 The Adventure Island Resort is ideally nestled in a sheltered northern cove of South Molle Island and is right on the shores of a magnificent white, sandy beach. Guests staying at this exciting over 18's resort can take time to explore this wonderful island, swim in the clear waters and admire the coral formations, relax on the beach or by the pool with a drink or make the most of the exciting night time entertainment that the Adventure Island Resort is well known for. 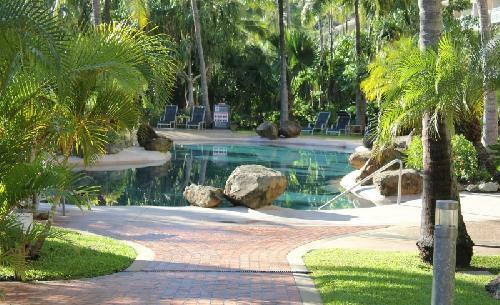 The luxury resort on Lindeman Island has for many years provided international and Australian holiday makers with a truly unique island experience. 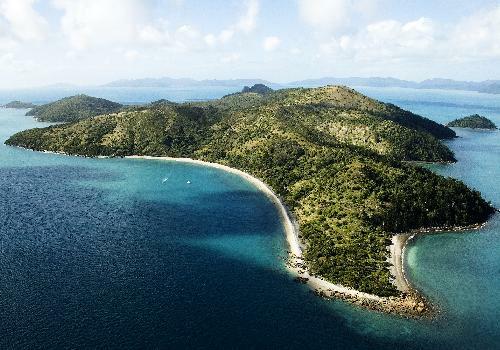 With a choice of beachfront and bushland hotel accommodation and a whole raft of fun activities and exciting day trips on offer the Lindeman Island Resort is sure to leave an impression on you. Loacted at the southern end of the Whitsunday Passage the Brampton Island Resort is a peaceful and romantic island escape that has friendly staff that will go out of their way to ensure that you have a memorable and relaxing time. When you choose to stay at the Brampton Island Resort you can do as much or as little as you please. Some people come for total relaxation and pampering, whilst others are seeking adventure and constant activity, and the Brampton Island Resort provides both. The main attraction in the Whitsundays that brings tourists to the region from all over the world is the world heritage listed Great Barrier Reef. This extensive natural wonderland surrounds the Whitsundays and gives holiday makers a unique opportunity to see thousands of different coral varieties and swim with a huge selection of fish of all shapes, sizes and colours. Visiting the Great Barrier Reef truly is an experience that you will never forget. Whitehaven Beachis one of the most popular places to visit in the Whitsundays. It is located on the eastern side of Whitsunday Island and this 7 kilometre stretch of beach has amazingly while sand that is surrounded by the crystal clear blue waters of the Coral Sea. The largest of the 74 islands that make up the Whitsundays is the aptly named Whitsunday Island. It is an uninhabited island that has lots of scenic places to visit, as well as a number of eco-friendly camping grounds scattered around the island. Actually located on the Australian mainland but still part of the Whitsunday region is the Conway National Park. This diverse region has a range of different vegetation, an abundence of native wildlife, comfortable camping grounds and numerous walking trails that are suitable for people of all fitness levels. If you have your own boat of yacht then some of the best Whitsunday experiences come from exploring the many uninhabited islands and secluded beaches that make up this wonderful part of the world. A great way to spend a day in the Whitsundays is to either relax or have fun soaking up the sun at one of the many amazing beaches on the Whitsunday Islands. Each holiday destination has a few beaches where you can take to kids to play or take a romantic walk with your special someone. If you are a golf enthusiast that you will enjoy playing a round of golf on either the South Molle Island, Lindeman Island or Hamilton Island golf courses. In fact the Hamilton Island golf course is on nearby Dent Island and is the only 18 hole golf course in the region. Whilst you are on holiday in the Whitsundays you should try some of the delightful, fresh seafood that the local alfresco restaurants serve up. 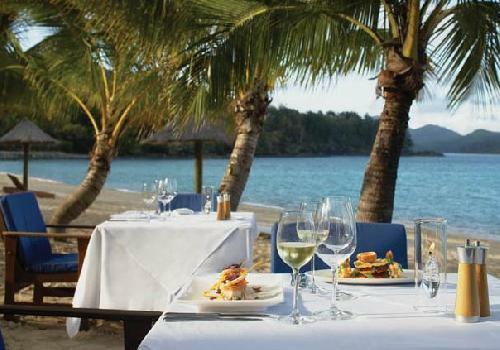 Most island resorts serve a great selection of dishes at their restaurant, whilst at Hamilton Island you will have the choice of many fine dining establishments. The clear, blue waters around the 74 Whitsunday Islands are a great place for fishing because they are filled with an abundence of fish or all different varieties. You can either fish of the end of the island jetties, from the shoreline or even take a boat out to reach some of the more remote fishing spots. There are plenty of operators in the Whitsundays that can teach you how to scuba dive or if you already know how then you can head straight out to the Great Barrier Reef for a scuba diving experience that you will never forget. Another very popular activity in the Whitsundays is to go snorkelling around the Great Barrier Reef. Plenty of tour operators can take you on a snorkelling adventure that allows you to see up close and first hand the magnificent coral formations on the reef and the abundence of marine life that the reef is home to. The generally calm and peaceful waters around the Whitsundays are excellent for swimming. These tropical waters are sheltered by the outer reef and all of the nearby islands, however you do need to take care to avoid being stung by jellyfish during the stinger season, which runs from October through to May. Around the many islands to go to make up the Whitsundays there are numerous bush walking tracks that take you through some beautiful tropical vegetation and past native wildlife to remote parts of the islands with spectacular views across the region. Regardless of which Whitsunday hotel you choose to stay at there will be a wide variety of water sports available for you to enjoy, ranging from paddle boats and kayaks right through to jet ski hire and tube riding. In order to get a grand overview of the entire Whitsunday region you should take a scenic helicopter ride or aeroplane flight over the area and see the Great Barrier Reef, the Whitsunday islands and the blue waters of the Coral Sea from the air. One of the best ways to see al that the magnificent Whitsundays has to offer is by sailing around the area. Hopping from island to island at a slow and relaxed pace is the perfect way to unwind and take in all the beauty of this area. The easiest and best way to get to the Whitsunday Islands is to fly into the Hamilton Island Airport. Currently you can fly directly to Hamilton Aiport via either Virgin Australia or Jetstar from all of the major eastern Australian cities. An alternative is to fly into the Proserpine Airport, which is located on the Australian mainland just a short bus drive from Airlie Beach. You can then catch a ferry to any of the Whitsunday Islands from either the Airlie Beach Marina or Shute Harbour. The airlines that regularly fly into the Proserpine Airport include Qantas, Virgin Australia, Jetstar, Air New Zealand and Etihad Airways. If you are planning to drive up to the Whitsundays you should travel along the Bruce Highway and then turn onto Shute Harbour road just north of Proserpine. From here you can drive to Airlie Beach and Shute Harbour, and then take a ferry out to the many Whitsunday Islands. If you want hotel or resort accommodation in Australia at cheap rates for your next holiday then Whitsundays Hotels is the place for you. We give holiday travellers the ability to compare a range of hotels, resorts and apartments at the same time, thus making it easier for you to decide which island in the Whitsundas it is that you want to stay. The accommodation on Whitsundays Hotels ranges from luxury beach front resorts and honeymoon suites through to budget backpacker rooms and family friendly apartments. So book your accommodation at any of the Australia resorts with confidence, and even take advantage of the cheaper rates for longer stays.